CyberDisty's free search engine when searching for semi conductors! CyberDisty is a strategic supplier for Renesas MCU Sample. Established in 1999, for 19 years we are the first in Korea to hold e-business and business model patent which the service is used by 1,500 customers. CyberDisty pursuits the customer’s satisfaction beyond purchase and distribution. 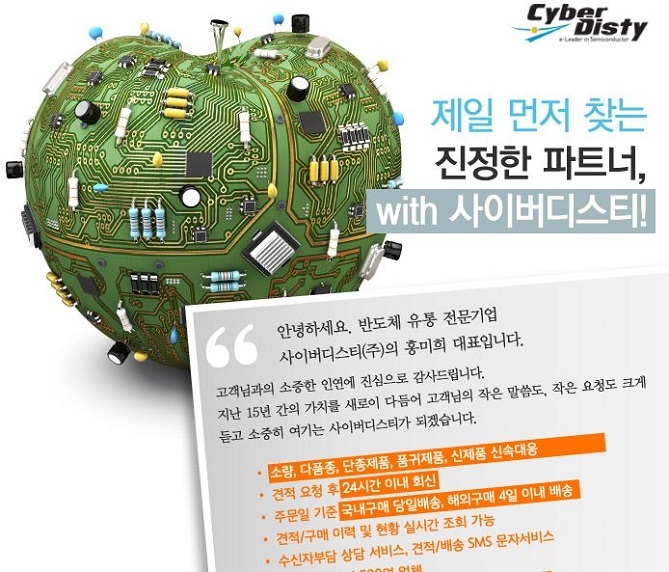 Quote for BOM , urgent requirement , hard to find items , EOL parts and we delivers products safely, global online proxy purchase experience various service provided by CyberDisty. We have purchase lines in 38 countries and 1,400 suppliers. 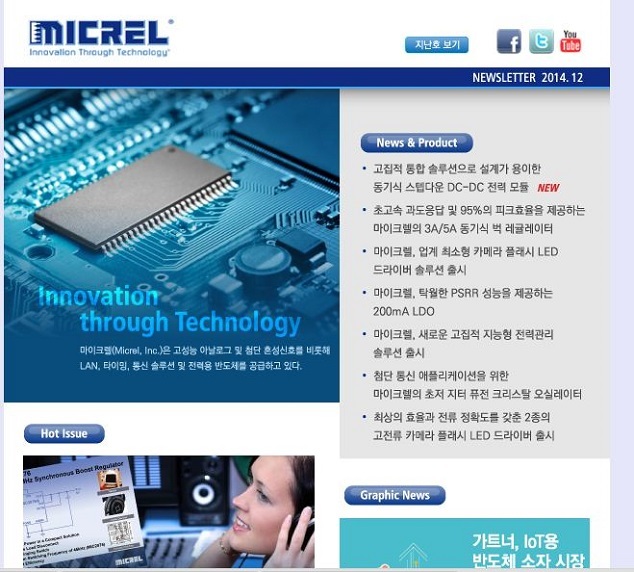 Micrel stock DB and 270 thousand vendor stock DB, Company for R&D, mid-sized manufacturer, University, distributor and dealers. All the DBs are always open.